Philips Norelco : Royal Philips Electronics of the Netherlands is a diversified Health and Well-being company, focused on improving people’s lives through timely innovations. As a world leader in health care, lifestyle and lighting, Philips integrates technologies and design into people-centric solutions, based on fundamental customer insights and the brand promise of “sense and simplicity”. At Philips Design, we know we can only fulfill people's needs and desires when we truly understand what they are. That’s why we always begin with getting to know as much as we possibly can about our target audiences: their priorities, values, inspirations, likes and dislikes. With this insight, our international, multi-disciplinary and diverse design team is able to deliver truly relevant solutions that anticipate people's needs, exceed their expectations and enhance our customers' business success. (Read More) . 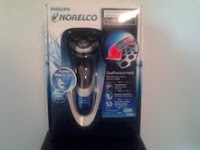 I received the Philips Norelco for free from the Bzzagent campaign, to review and give my honest opinion(s). Let's face it, everyone shaves. Or at least they should! Guys are no expectation. Of course woman have more parts to shave and take care of to look good, and be healthy, but men have a more sensitive area to shave. The face. Every man and or young adult has different skin types, sensitivities, hair types, acne, and oily or not oily skin. No one is perfect and it sometimes takes years to master the perfect daily routine. But thanks to the Philips Norelco - wet and dry electric razor with DualPrecision heads, and Flexing heads (#At810) every man and young male adult can have the perfect shave without the regular harms of regular shaving. 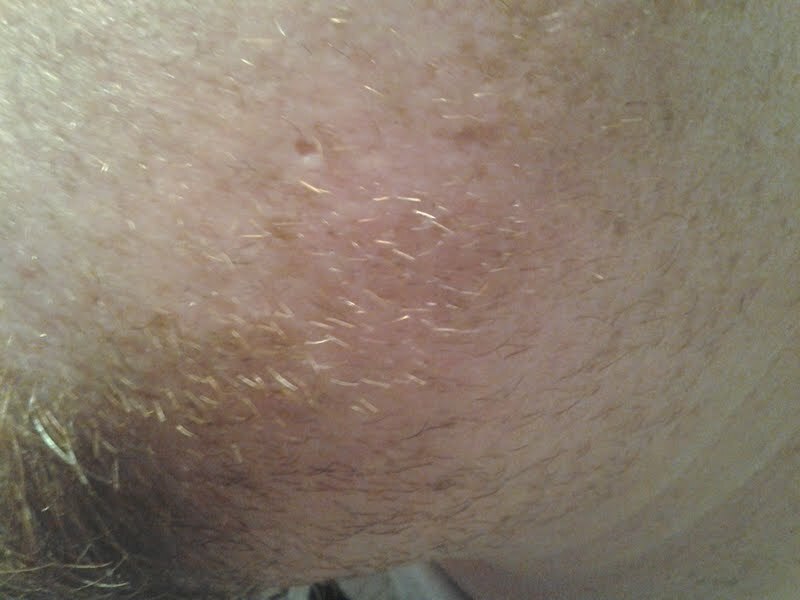 Before Photo : He has very coarse, and dry hair, his face isn't oily or acne prone, but because it is so dry it often is hard for him to shave with a regular razor. He usually uses an electric trimmer to get a close shave, and then uses a disposable razor to finish and get a nice smooth shave. Even then with the coarse hair as his he sometimes has hair stuble that is left behind and of course it hurts when he get's close to me to snuggle up to me, or just to hug me. Ouch! the Norelco is Perfect for trimming your sideburns and moustache as you can see he has a nice trimmed goatee that is always hard to keep trimmed. After photo : As you can see, it's day and night! the shaver gave him a nice trim and shave! I was able to touch his face without feeling like I'm touching barbed wire. 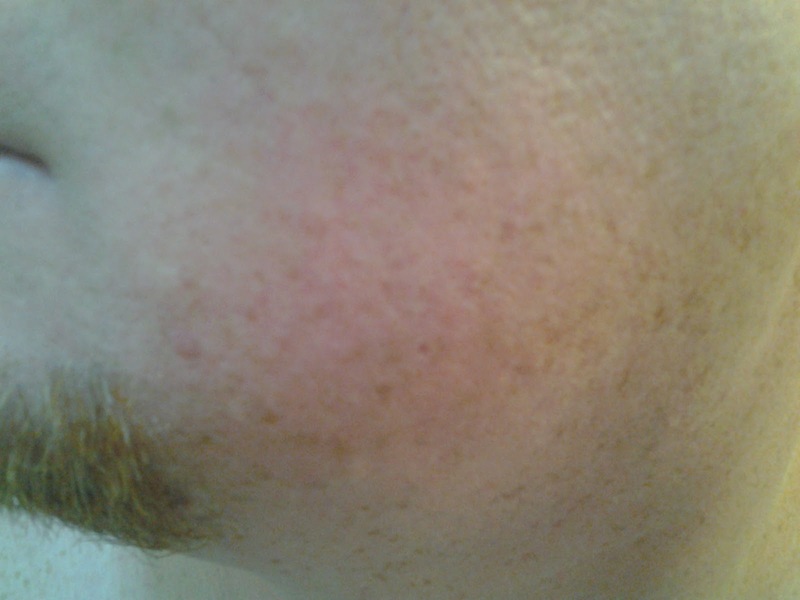 His skin looks refreshed and clean, and without irritation. He has normal a normal skin type, but if he was acne prone, he would still be able to use the electric razor because it's safe on acne. The flexing heads give a better, quicker, and closer shave that adjust to his curves. I love the fact that he can use the Philips Norelco wet/dry alone, or while wearing shaving cream. Some of the greatest features are - Easy to use Anti-slip grip provides complete control, Up to 50 shaving minutes, 1 hour charge, For easy cleaning, and wet & dry use. - skin friendly Aquatec: refreshing wet shave with foam or an easy dry shave, Low- friction SkinGlide for an extra smooth shave. I also love that it comes with a 2 year warranty. Love it yet?. ♥ You can find Philips Norelco on Facebook - Here. ♥ You can find Philips Norelco on Twitter - Here. ♥ I receive no monetary compensation for this review. 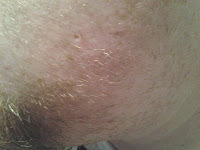 I was provided a Philips Norelco Electric Wet/Dry Shaver to try and give my honest opinion.